DISCLAIMER: Don’t believe anything I or any body else tells you about edible wild plants. Don’t eat edible wild plants based on what you see in a book or on the inter-net. Get a qualified instructor to show you the plants, and don’t eat them until the instructor shows you how to prepare them, and then eats them him or herself. Be aware that you may be allergic to a plant that someone else can eat without harm. Be sure that any plants that you gather have not been sprayed with pesticides or herbicides. 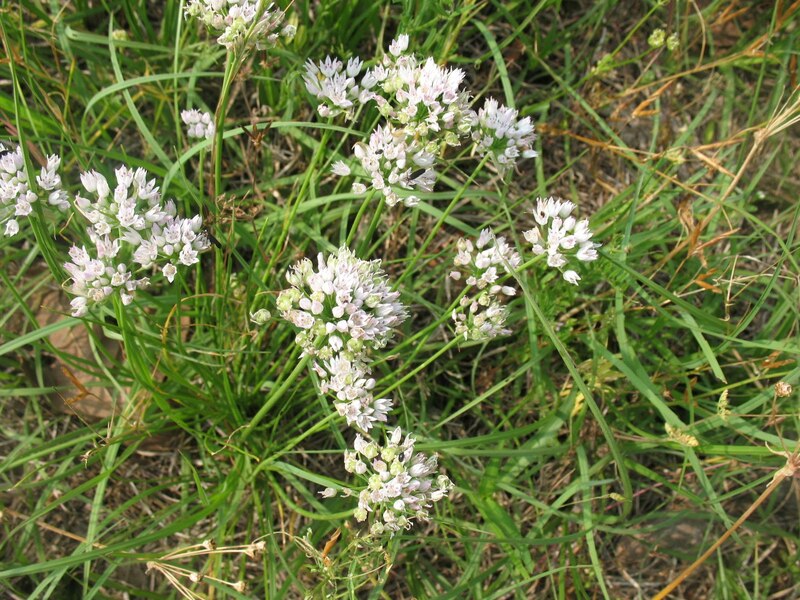 Pictured below: Wild Onion plant. When you are cooking in your kitchen, onions are a nice addition to a stew or a salad, and they can really enhance a pot of greens. Just because you are in a survival situation is no reason to go without onions. In my part of the world wild onions are easy to find in the spring. Just make sure that you are picking onions (genus Allium) and not crow’s poison (Nothoscordum bivalve). Onions will flavor your food; crow’s poison will make you very sick. These two plants really don’t look much alike. The flowers are entirely different as you can see from the photos below. Pictured below: top, Crow’s Poison; bottom, Wild Onion. And the smell is totally different. They both have a bulb shaped root; but the wild onion smells like an onion, and the crow’s poison does not. 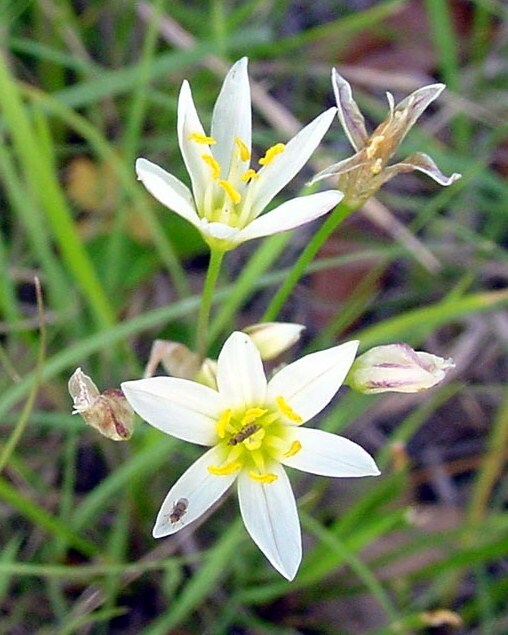 Also, in my area the crows poison blooms first and then is completely gone when wild onions bloom. This may not be the same where you are, but it is definitely true here. 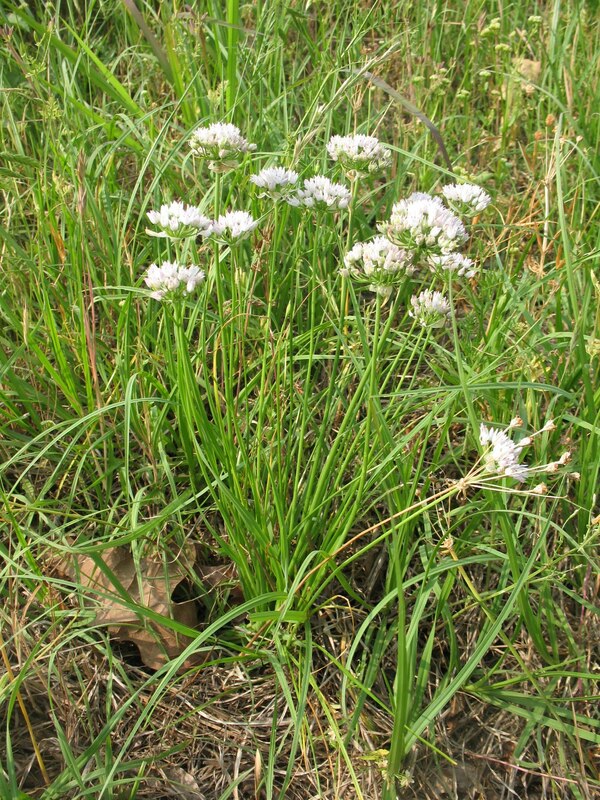 Pull wild onions when they are flowering and use them in stews, salads, or with greens. They have a strong taste so they are not so good if eaten by themselves. 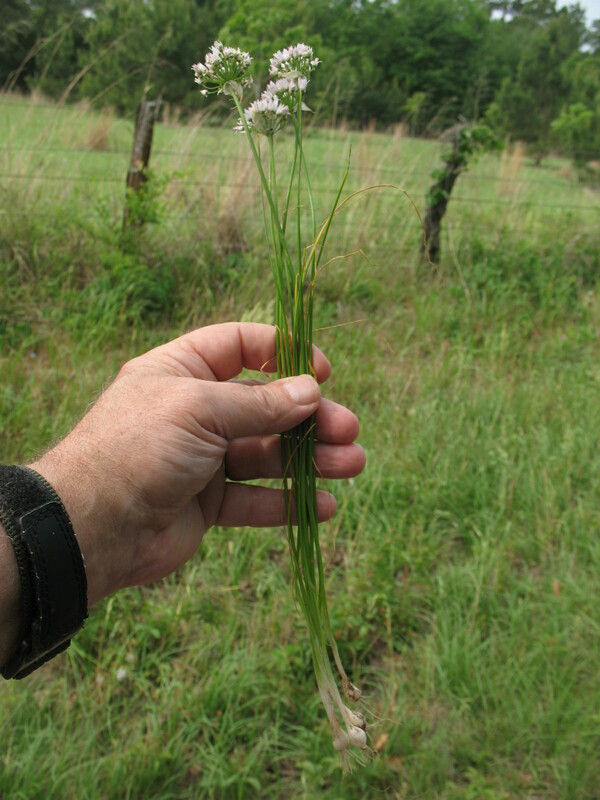 Pictured below: Wild Onion plant with flower, stem, and bulb. 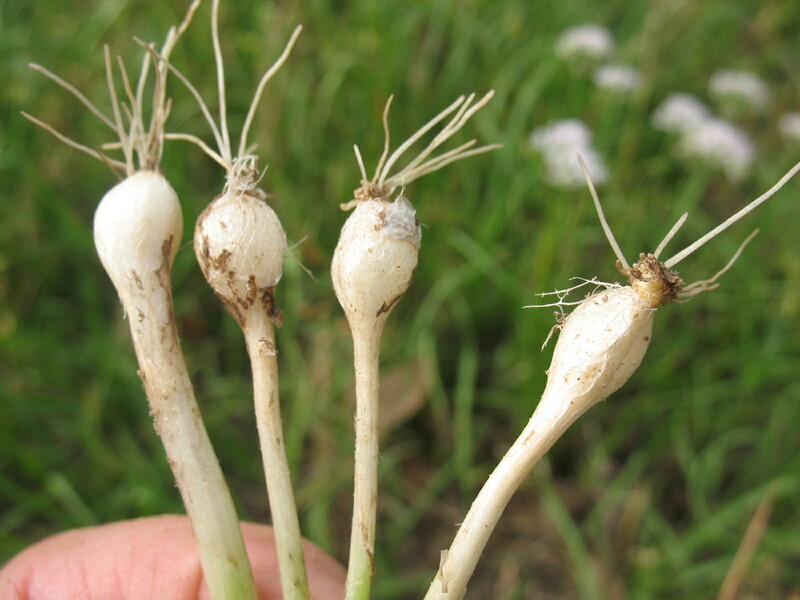 When you pull wild onions, they will have an outer skin that is kind of like a fibrous netting over the bulb. 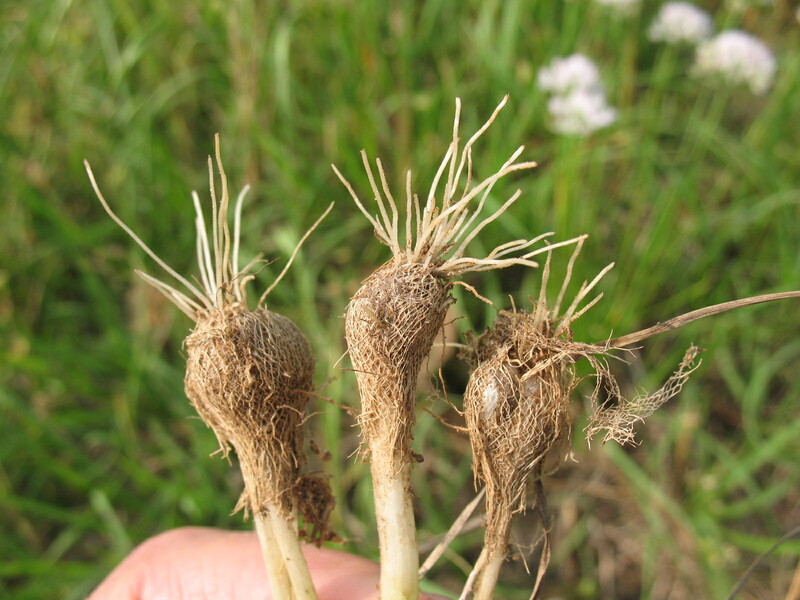 Pictured below: top, Wild Onion bulbs with outer skin; bottom, Wild Onion bulbs with outer skin removed. Remove this outer skin before using the bulbs. The green stalks of the wild onion can be chopped up and used like chives. Wild onions, just like garden grown onions, can be hung and dried for later use.